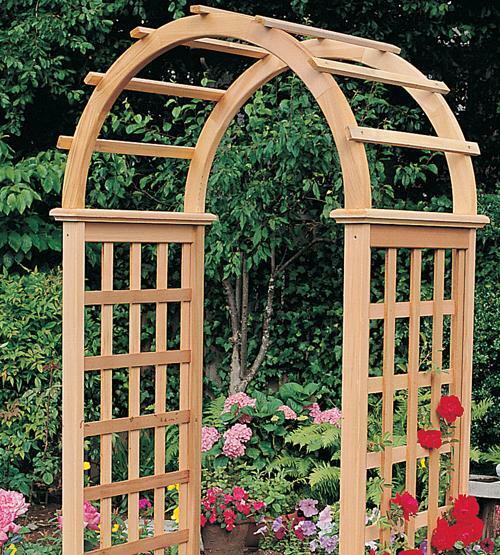 Garden arches made with wood give romantic and mysterious feel to beautiful garden design. 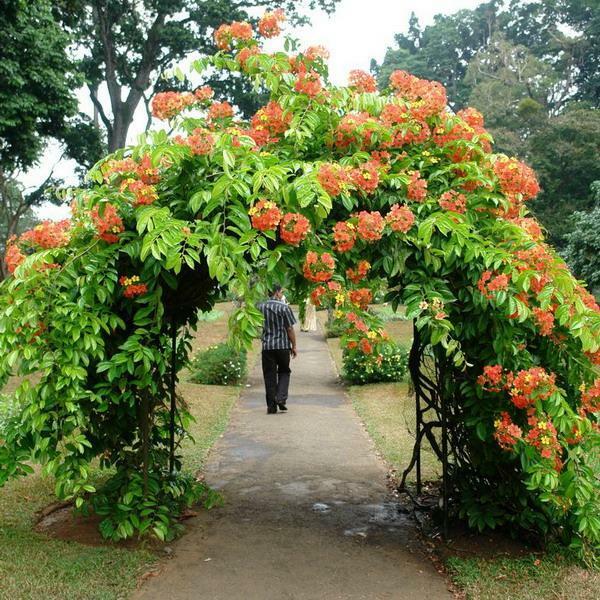 Wooden arches are elegant, look harmonious with trees, shrubs and flowers and create a welcoming effect that delights your family members, friends and guests. Lushome collection demonstrates how beautiful wooden arches can bring charming details into garden design and add mystery to outdoor living spaces. Thoughtfully planed garden design and well placed wooden arches create fabulous centerpieces which hide some parts of the garden and make outdoor living spaces look interesting and surprising. 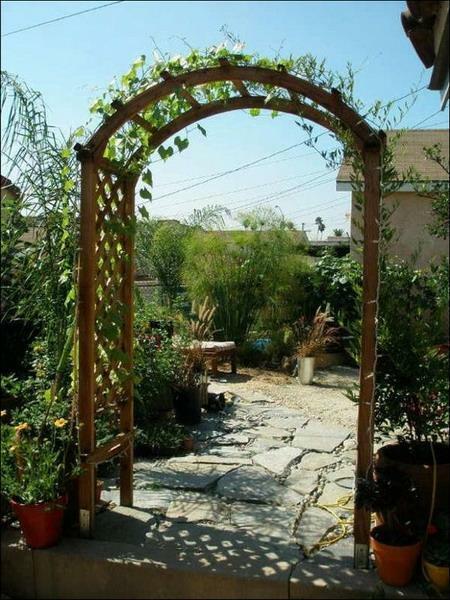 A wooden arch can be surrounded by decorative plants and flowers. 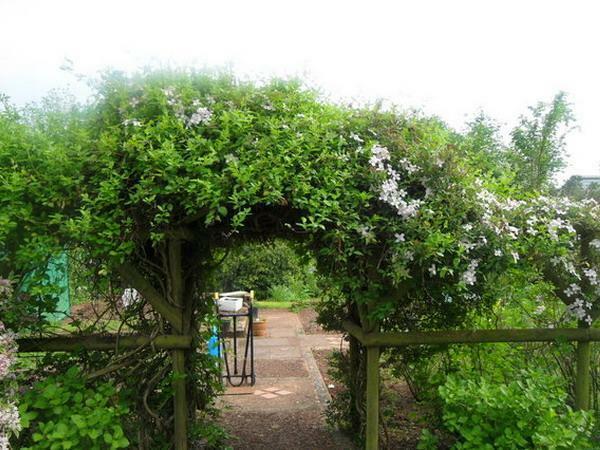 A wooden arch provides a good support for climbing flowering plants and vines growing on it, but some plants require steel strength support. Wooden arches create beautiful outdoor seating areas and beautify yard landscaping ideas with pleasant, soft and organic design. 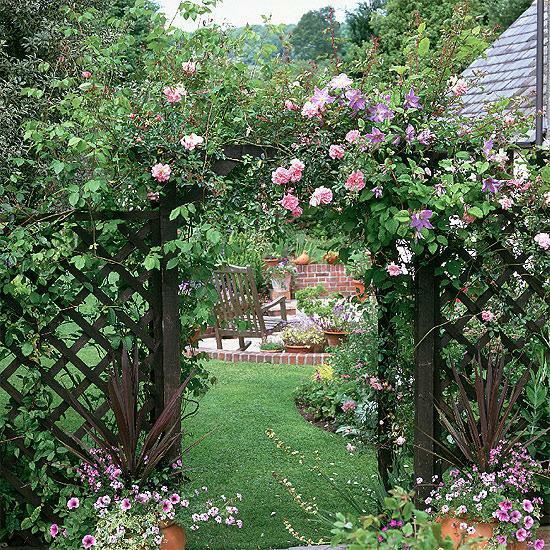 Garden arches with decorative plants and flowers make spectacular focal points for the eye and personalize simple garden design. 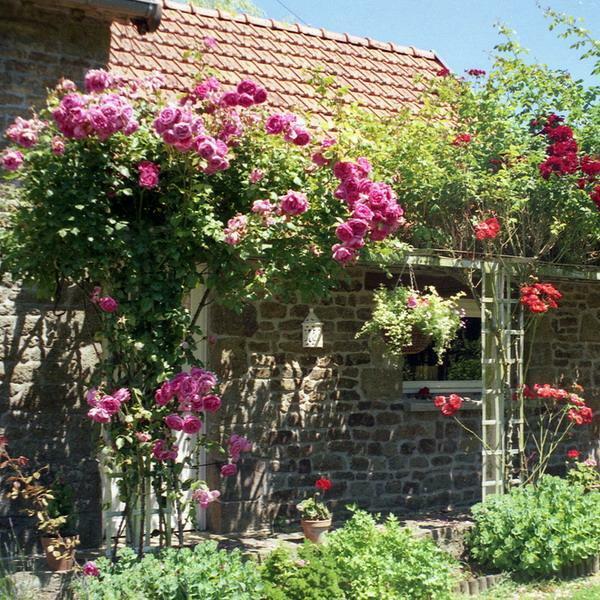 They help create different areas, bringing pleasant variety into functional and creative garden design. 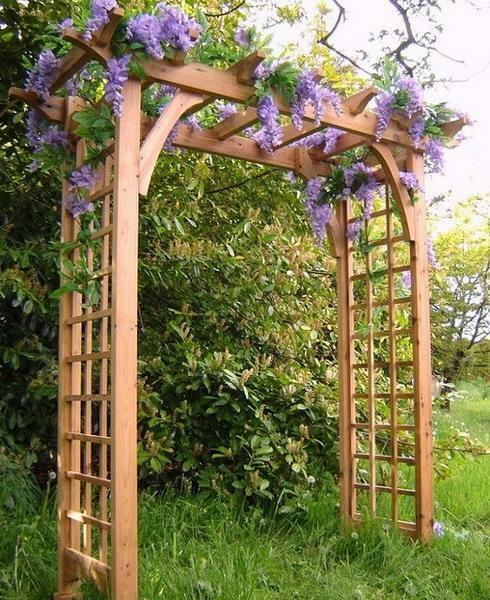 Wooden arches create magical garden design with beautiful and inviting places to relax and enjoy the nature. 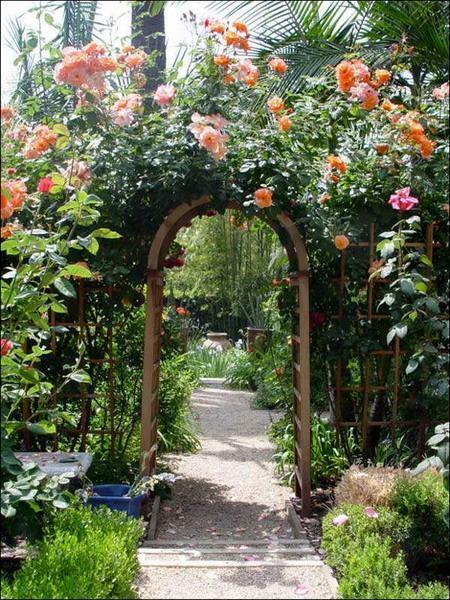 A properly placed garden arch leads a visitor down a path or opens into a new part of the garden. 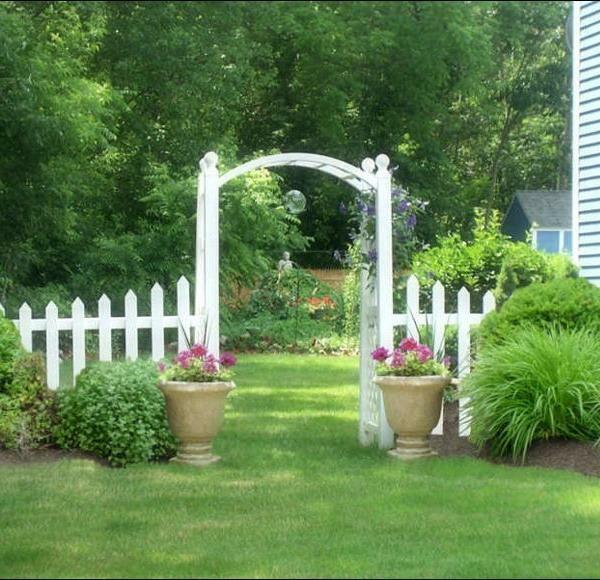 A garden bench under a wooden arch offers a charming place to sit and enjoy beautiful views and yard landscaping. 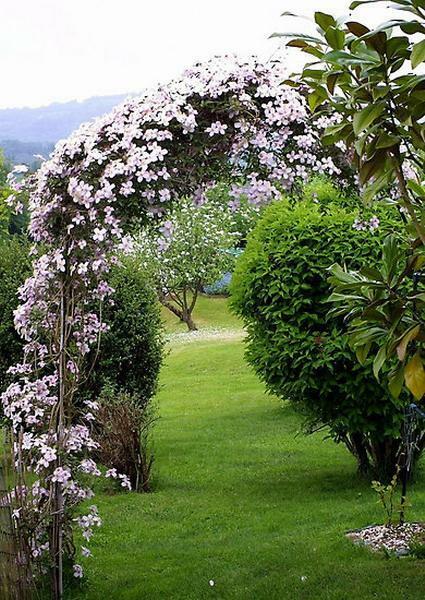 Wooden arches bring whimsical and nostalgic feel into garden design. 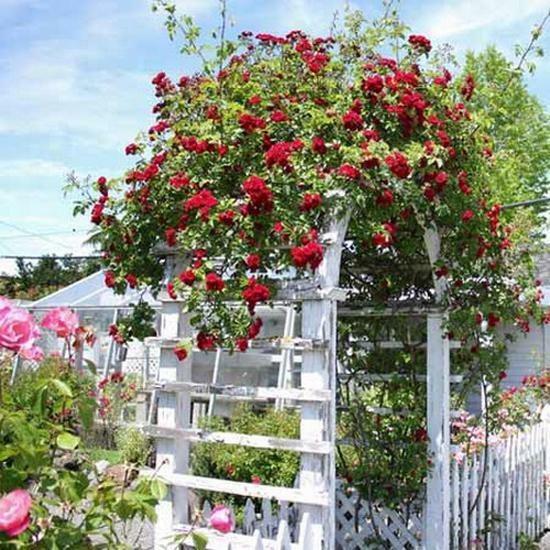 Beautiful flowers, like clematis, climbing roses, trumpet vine, and morning glories add gorgeous colors, unique shapes and seducing aroma to beautiful garden design. 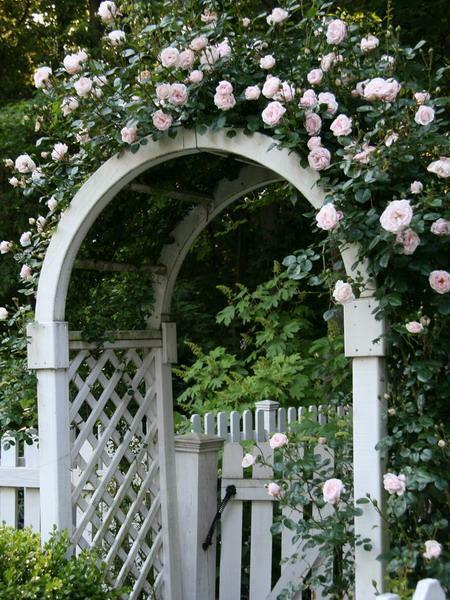 Every garden should have an archway or a wooden arch with a bench. 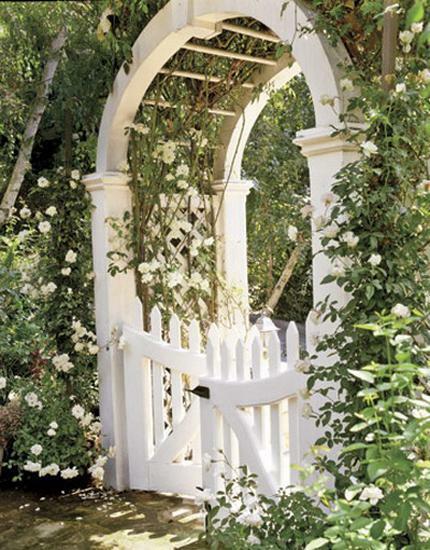 These garden structures make true decorations and add organization to yard landscaping ideas.Garden arches, made with wood offer great DIY projects and inspire creative recycling ideas that turn yard landscaping into fun art. 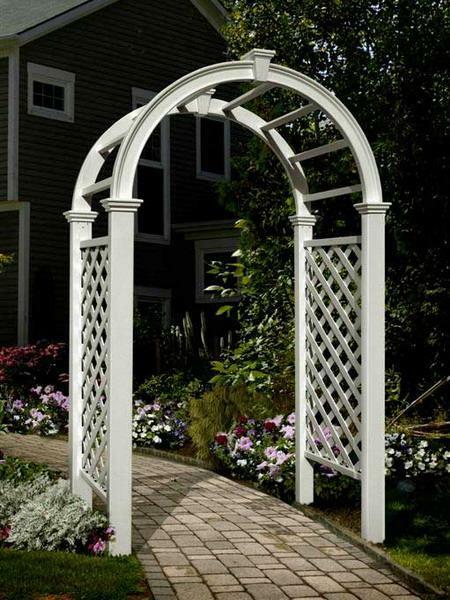 Garden arches come in many shapes, styles, sizes, designs, colors and materials. They are functional and very decorative. 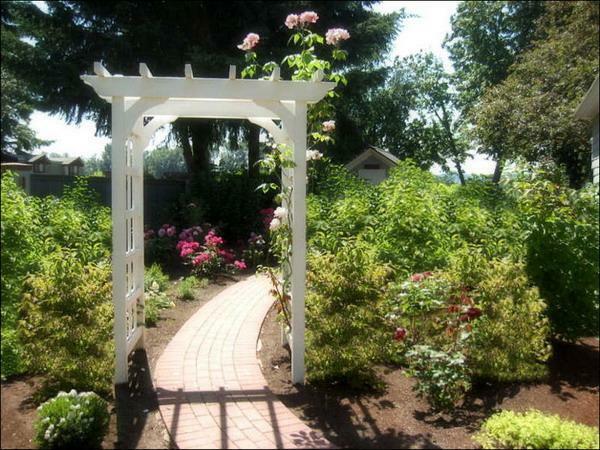 Many uses of wooden garden archways and arches with a bench allow to personalize yard landscaping ideas and add character to garden design.